It's been five years now since the bedrooms of Miss and Master JibberJabber were last decorated. Master JibberJabber wasn't even born then so it's high time that both of them had a makeover to their rooms. With Master JibberJabber now aged 4 and Miss JibberJabber the grand age of 9 the pair of them had some pretty strong opinions about what they wanted their new look rooms to be like. Here are our top tips for creating a room to please everyone. Make a mood board – Pinterest is great for ideas but there's nothing like an old style mood board. Pick up paint colour charts and wallpaper samples and let the kids unleash the interior designer in themselves. Try the colour first – Your kids may be convinced that the dark purple is what they really, really want on all their walls but it could turn out an expensive mistake. Try out some tester pots first to see what the colour looks like at different times of day. If you don't want to paint the walls use the paint on sheets on paper which you can move around the room. 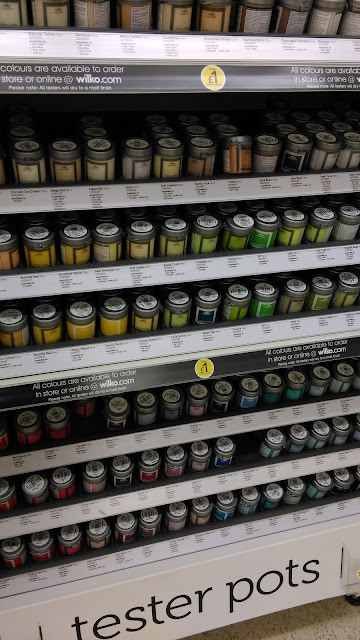 Wilko have a selection of paint tester pots. 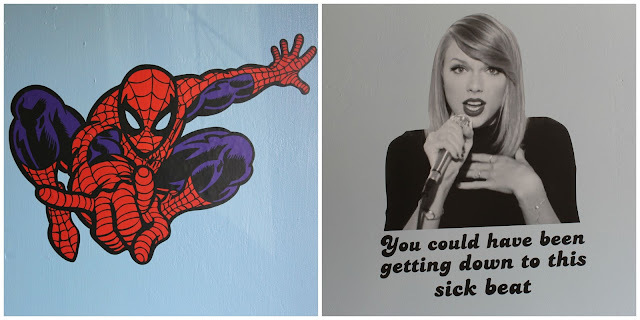 Sticker it – If painted walls look too plain apply some wall stickers. Companies such as Tenstickers UK sell a range of room stickers and decals. If you have your own design they can make it for your own personalised creation. Update existing furniture – Don't chuck useful bookcases or a chest of drawers just because you think they don't fit in with the new colour scheme. 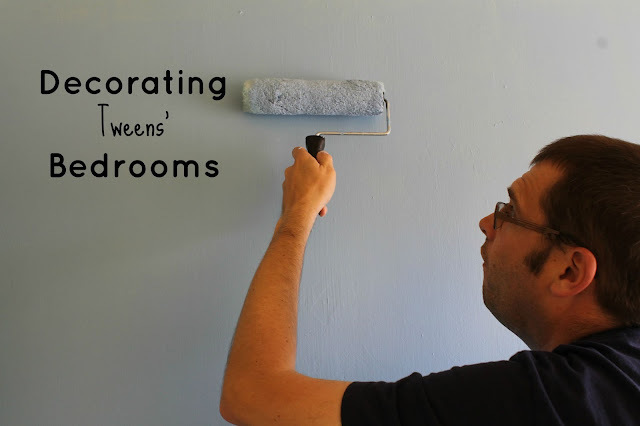 Get the paint out and the kids to help out with a paint brush! Bedding down for the night – Don't forget this is the room where the bed is! If your children are big into their TV and film characters an easy way to get them into the room is with a duvet set. Light it up – Finish it off the room with a smart lampshade. Keep it fun yet functional with the range of children's lighting from Argos. How are your children's rooms decorated? Did you let them get involved in the design process? This is a collaborative post. All the words and photographs are my own. We have that duvet set! I am also a big fan of decals, they are such good value for the big difference they make!